Anchor’s Large Slate Serving Set is the perfect tableware for your next dinner party. Included in this two piece set is a small dome expertly crafted from glass, as well as a rustic, slate serving tray. 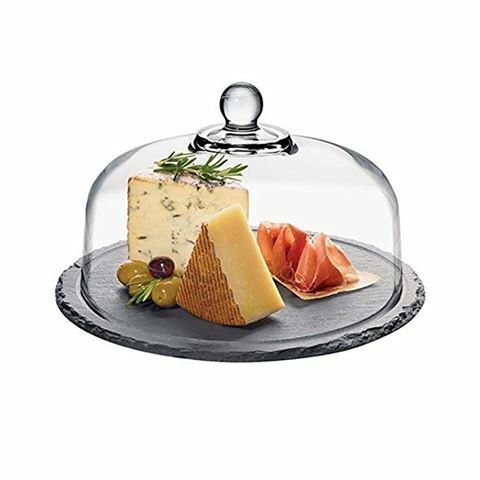 The slate tray’s surface acts as a chalkboard, allowing you to easily label your favourite cheeses and dips, and when you’re finished, the writing just wipes away with ease. Can also be used for home décor. Large Glass Dome – 19cm (h) x 28.5cm (w). Large Slate Tray - 32.5cm (w).